We witnessed another violent and tragic set of events in reaction to the most recent Quran burning scandal by NATO soldiers in Afghanistan and the dust has yet to settle. Violent protests continue in different parts of the country and several civilians have lost their lives. In our recent history, we have seen several similar violent Muslim reactions when some Muslims feel Westerners have insulted and attacked their sacred images or values. The tragic reactions to Salman Rushdie’s “The Satanic Verses,” an infamous Danish cartoon and its bloody consequences, an insignificant Florida pastor’s foolish but costly Quran burning show and more. This column is an honest and sincere call to the Muslims who took and have been taking part in these kinds of violent protests. Fellow brothers and sisters in Islam who, through whatever means, got involved or are planning to get involved in these kinds of violent protests: As an Imam and, more importantly, as a believing, practicing Muslim, I can’t help but think, “what’s wrong with the Muslims who are involved in violent reactions regardless of the nature or enormity of the offense and insult?” There may be some psychological, political or even cultural explanations (which I will not waste any space discussing in this column) for these primitive and violent responses, but I believe there can be no Islamic, religious, ethical or moral justifications for your excessive, lawless and destructive way of expressing disapproval and hurt. Therefore, I condemn and shun all past and recent Muslim reactions with the strongest possible disapproval and dismay. Shame on you! These violent reactions of yours really do not make sense on many different fronts. For any Muslim who believes the sacredness of the Quran as God’s final revelation to humanity, that very same Quran condemns and rejects such anarchy in many of her verses and teachings. First of all, the Quran invites us to respect and engage with her divine message more so than the actual physical form of the book that is found between two covers. Respecting a physical copy of Quran could be understandable, but violating its central teachings and principles–for example by killing innocent people–just because someone disrespected or insulted a copy of the Quran is unacceptable, barbaric and reprehensible. 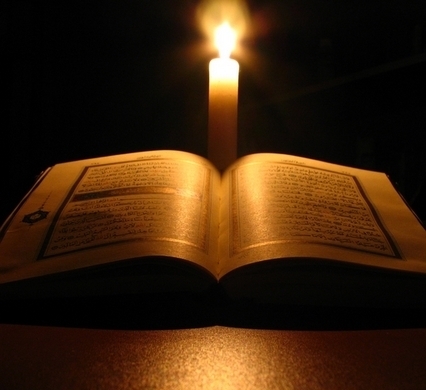 No physical copy of a holy scripture, including the Quran, is more sacred than the life of a human being. This is what the Quran and our beloved prophet, whom the Quran came through, teaches us over and over. Secondly, what do many Muslims throughout the Muslim world do when the copies of the Quran get really worn down and become unusable? We burn them! Yes, you didn’t read it wrong: It is a common Muslim practice to respectfully burn old Qurans when they are no longer reparable. It is proclaimed all over the world, including Afghanistan, in many different interpretations of Islamic law that this is an honorable farewell to these old copies of the Quran. So how do you justify your shameless reactions to Quran burning? Moreover, these unacceptable and indefensible responses only serve to confirm the fabricated, monstrous and scary image of Islam as a religion and Muslims as a people to the fearful world. I really don’t understand how my fellow Muslims do not see that, with their reactions, they actually prove what has been said about them by their enemies. You call my religion evil or terrorism and, in order to “disprove” this insult, I will go kill people, burn embassies, act like a bloodthirsty crazy person…. Don’t you fellow Muslims see the ridiculousness of this logic and actions! The uncivilized images of these violent protests by these irresponsible and violent Muslims shape the image of 1.6 billion Muslims all around the world. These images are so powerful that even education and exposure to real Islam later on is unable to remove these images from the hearts and minds of many non-Muslims. Maybe more importantly, Muslims themselves are not immune to the images of these ugly and violent scenes created by fellow Muslims. Seeing the actions of Muslim extremists over and over on a daily basis increasingly causes Muslim internalization of biased anti-Muslim propaganda. This creates an atmosphere of perception that all of the world’s extremists are Muslims. Do these angry Muslim protesters not realize how much harm and destruction they do to Islam and to their fellow Muslims all over the world?! Or how much pain and embarrassment they inflict on fellow believers? Finally, my dear fellow Muslims, you may be thinking that you have been defending Islam and Muslims against their enemies through these violent protests. May God bless you with enough common sense and wisdom to realize that, by protesting in this manner, you are being the worst and most destructive enemies of Islam. Thank-you for your insightful and completely accurate representation of the actions of reactionary, violent Muslims in Afghanistan, and the impact they have on others’ perceptions of your religion. It is one thing to say that they behave this way because of Western interference in their country and that they are merely reacting to a policy of American imperialism. But remember, the whole reason why there is war in their country is because of radicals and fundamentalists who trained as terrorists with the Taliban, intent on attacking the Great Satan. War is hell, and the war in Afghanistan is a horrible and prolonged affair. But I, for one, would prefer an Afghanistan with NATO troops in it, hunting down and eradicating those who are prepared to use violence in defending their beliefs, and violence in enforcing their beliefs on others, than an Afghanistan with the Taliban in charge. The Taliban were, and are butchers. They are the people who want to execute women who have been raped to preserve the family’s honor. They are the people who subjugated their women and girls, preventing female education so that their women are always dependent on their menfolk to provide, so that women cannot be functionally independent. They are the people who held public stonings as half-time entertainment at football matches. They are, as you said, the worst enemy of Islam. The future of Afghanistan, if left to these monsters, would be bleak indeed for generations, until some brave people found the will to fight against them and eradicate them from within. I really hope that the NATO troops and Afghanistan National Army, who are committed to fighting those who would bring about a new Dark Ages in their country continue to fight until the threat is eradicated; the Americans and their allies started something that really could lead to a free country, but if they abandon the Afghans before the threat is gone, they’ll be leaving millions of good people to the whim of the wolves. Wolves with AK-47s.